The Religious Life Stories Project is an ongoing oral history project conducted by the Religious Studies Department at Georgia State University. This project seeks to expand the available data on the religious/spiritual lives of individuals and acknowledge the diversity and complexity in American religious lives. The 90 minute interviews invite the narrators to speak about their personal religious lives chronologically, starting with their childhoods and continuing to the present. The interviews are loosely structured to allow the narrators to discuss and emphasize those elements of their lives that they feel are important to the understanding of their personal religiosity. The narrators describe their religiosity within the context of their unique life experiences, giving us stories that reflect not only their religious communities but the personal, social, and historical settings of their lives. Key to the project is recognition that individuals express their religious beliefs, thoughts, and experiences in their life narratives in unique and personal ways. In order to help the reader understand the individual context of each narrator, the transcripts are provided in their entirety and not edited. Aspects of personal identity that have frequently been understood as distinct from religious identity, such as social, gender, and cultural identity are included and celebrated in these personal narratives. These elements provide the reader and researcher rich material that can be approached and studied from a variety of perspectives. The ongoing project seeks to record many diverse stories from individuals of all religious/spiritual persuasions (or none). 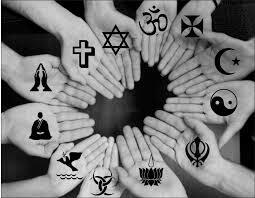 We invite anyone who wants to discuss his/her individual religious/spiritual life experience to contact us. The Pilot Study- 21 interviews with 7 Hindus, 7 Muslims, and 7 Baptist Christians in the greater Atlanta area. The Religious Face of Georgia State- Up to 100 interviews with 25 students, 25 faculty, 25 staff, and 25 alumni. These interviews provide an historical portrayal of the religious lives of people associated with GSU in its transition from a commuter school to the major metropolitan university in Atlanta. We will be frequently updating this website so please come back often! Online interviews can be accessed through the library's digital collection. If you would like to have your story recorded, or if you would like more information about the project, please contact us at religiousstoriesgsu@gmail.com.